First thing first, we will be CLOSED Thursday and we won’t open at 4 am Friday. Or even 6. We will be here regular hours. We won’t wear santa hats. We may be hungover. If you push anyone you will be asked to leave. Sounds pretty lame! What about that Sale word up there you wonder? We are having a literal Black Friday Sale: If it’s black it’s 15% off! There is all sorts of black stuff in a bike shop. Lights. Gloves. Tires. Studded tires! Tubes! Bikes! Seats! 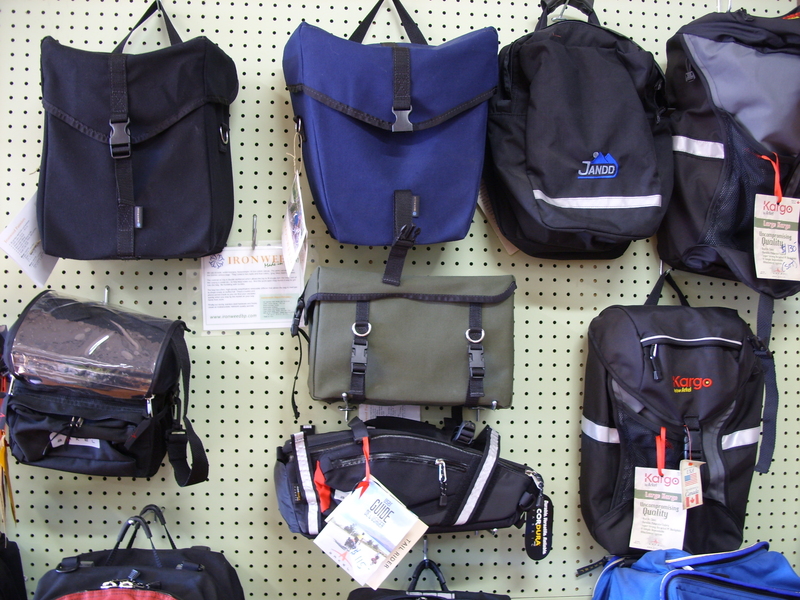 Bags! Bottle cages! Handlebar tape! Fenders! Locks! Racks! Helmets! Pedals! Even shoes! But it has to be black. Pink bottle cage? Nope. Red helmet? Sorry. Honey Brooks saddle? No way! All of our remaining 2013 MASI road bikes are already at least 15% off no matter their color so stop on in and grab a bargain in basic black. 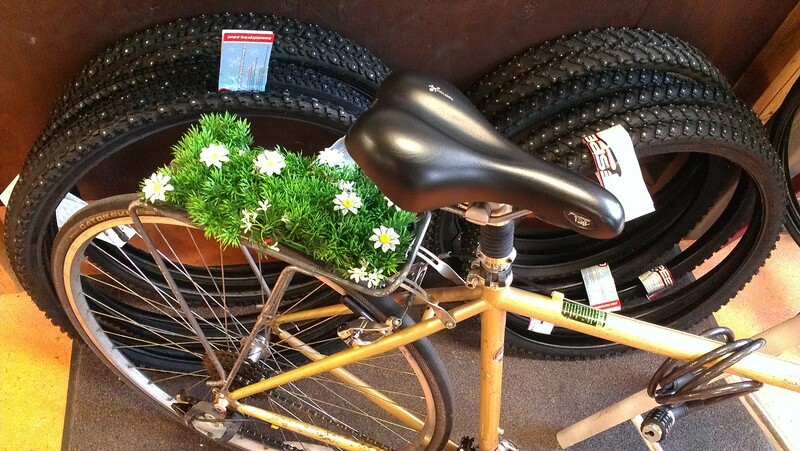 Don’t get winter SAD – put a little garden on your bike rack! 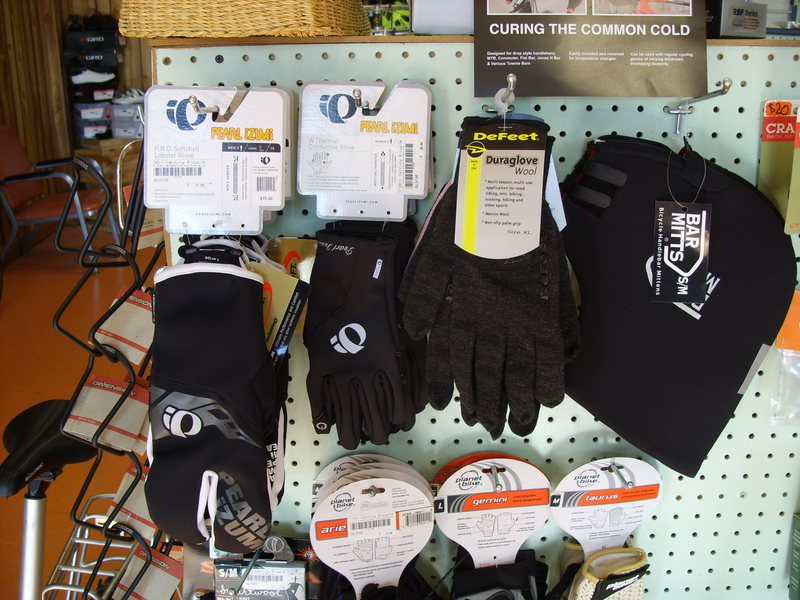 Speaking of winter, we keep expanding our stock of gloves, hats, Bar Mitts, generator hubs and lights, etc – plus we have our usual vast selection of studded tires bulked out like that kid in a Christmas Story. 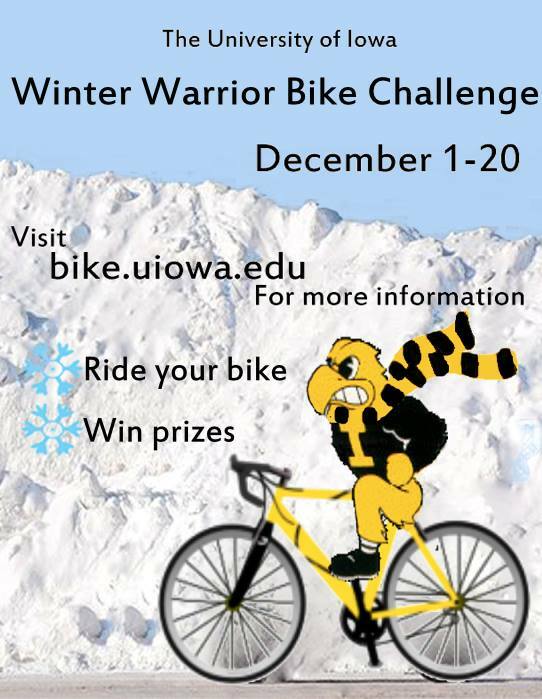 We are donating a couple, plus some lights as prizes for the UI winter bike challenge. So stay on your bike this winter, if you need advice or gear we can help, after all we will be out there in it two wheeling with you until the grass is green again. The drivetrain goes to 48. Look, right across the board, 2 by 3, by 8. And most bikes go up to 24? Exactly. Does that mean it’s faster? Well, it’s one faster isn’t it? It’s not 24. 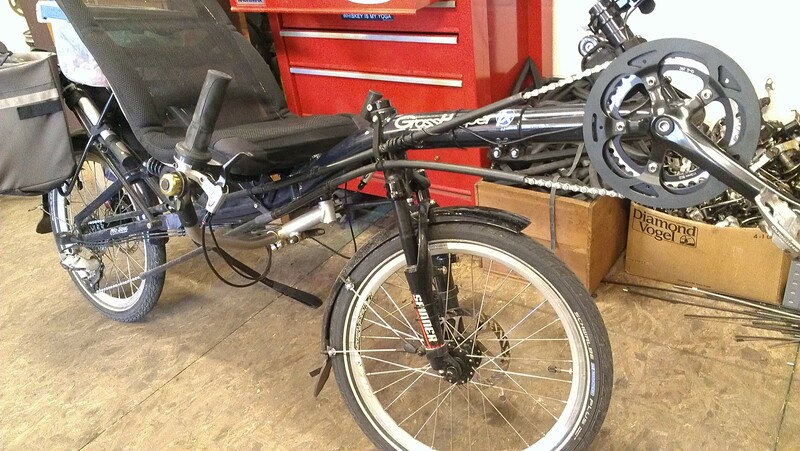 You see most blokes, you know, will be pedaling a 1x3x8 drivetrain. Your in 24th gear there, all the way up, all the way up, all the way up you’re in 24th on your bike. Where can you go from there? Where? Nowhere. exactly. 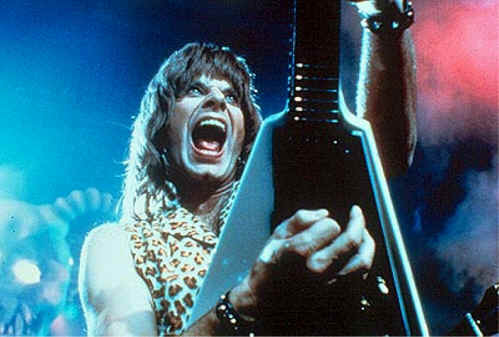 What we do is, if we need that extra push over the cliff you know what we do? We add a second manual shift chainring for 2x3x8. This one goes to 48!